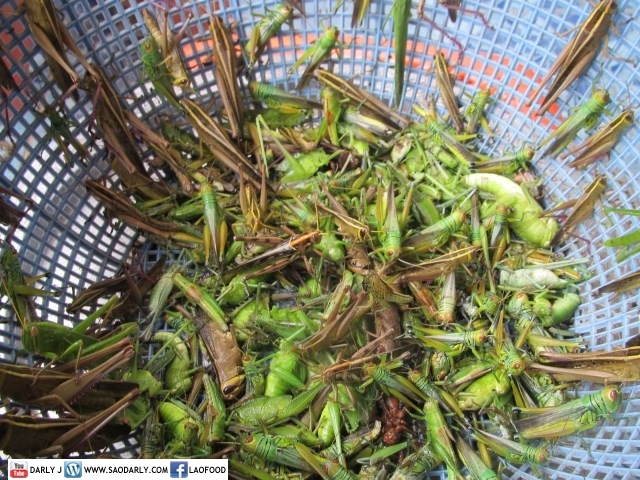 Tod Takkataen or Fried Grasshopper for afternoon snack in Vientiane, Laos. According to Aunt Kian and Aunt Phone, grasshoppers that are freshly caught are much harder to come by in the current time. It’s common to find fried ones at the local market or on a menu at restaurants in Vientiane. It’s also more difficult and more competitive to catch grasshoppers during the day time. 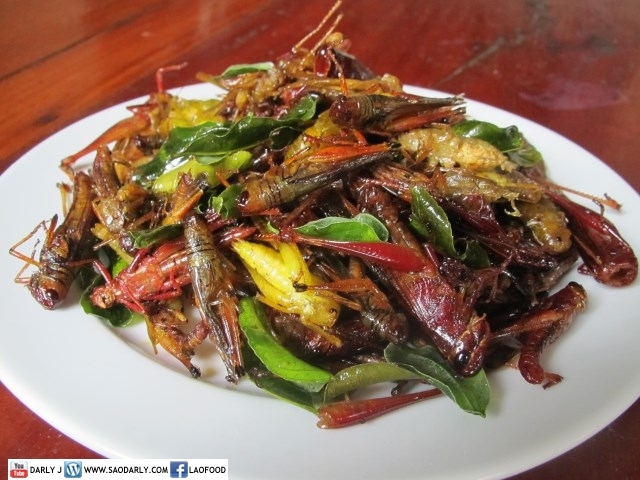 The insects are highly prized as snacks to go with BeerLao or other alcoholic drinks. It takes a lot of time and dedication to stay up all night for an uncle in Ban Ling San to catch a handful of these critters the night before. He stored the grasshoppers in a self-made net and brought them to Aunt Kian and Aunt Phone the next day. Aunt Kian first cleaned and blanched the grasshoppers. Then she fried them in oil with plenty of Kaffir lime leaves, salt, chili powder, and oyster sauce. When the green grasshoppers turned crispy brown, it was time for the family members to chow down and appreciate the all natural hopping critters from the family rice paddies.